I was nine on Christmas day. Technically nine and a half but that was just because my cousins were in town and Philip was a few years older. Adding the half helped me feel a little more in his league. Christmas was always a big day for me and my two brothers. This year however, with my two cousins, aunt, uncle, and grand parents in town, the sight was completely mind boggling. Dazzling ’70s colored boxes spilled out from under the tree to fill the entire living room. Somewhere in that pile, I just knew, was the one thing I wanted more than any other. A shiny new radio. Transistor radios were oh so cool! The Japanese had turned stodgy old AM tech into a colorful mod rage. Panasonic advertisements were all over TV with everyone dancing and singing to Casey Kasem’s American Top 40. I wanted to find it, tune it, crank it and go running through the neighborhood blasting tunes to call out my friends. It’s an ironic sort of torture opening one cool toy after another while waiting impatiently for your ultimate wish. Finally, making it seem almost like an oversight, my father handed me one last gift. It was surprisingly heavy, but I just knew that it must be the one! I knew they were right. It was Texas. My friends got safe toys like guns and machetes. My parents, on the other hand, discouraged us from playing war. Only my twelve year old, slightly precocious, cousin seemed to recognize the irony. Explained by a preteen, copyright seemed both vague and far fetched. I’d no idea what to make of his warning. I’d broken my share of rules but those were just family guidelines. As a nine year old *illegal* was way out of my league. Yet, I saw little reason to worry. It was simple enough to comply. I hadn’t even wanted a tape recorder. No sense making a federal case over it. All the music I’d ever need came right over the airwaves. That was the entire point of a radio. Parents don’t send you to bed because you’re tired. They send you to bed because they’re tired. Unfortunately for me, they got tired just before “The Odd Couple” came on TV. After losing a whining fit to stay up late, an idea popped into my head. I put the cassette recorder in front of the TV, leaned the microphone near the speaker, and pressed record just before quietly going up to bed. The plan worked brilliantly. My parents left the gizmo alone and I came down in the morning and replayed Oscar and Felix before school. I thought it was the coolest thing! I replayed it so many times I could parrot back the dialog. That was my first personal salvo in the war. Of course, I’d no idea I had fired a shot. It must have missed because both Felix and Oscar came back on TV the very next week. I wouldn’t actively take up arms for more than a month. Eddy had moved from France a couple of years before. He still stumbled on the occasional English phrase. I had to admit that this time it was justified. “Drove MY Chevy to THE levee, but the levee was dry.” A levee is a kind of dam to stop floods,” I clarified. but since my friends and I could never agreed on the lyrics, its meaning became a constant source of arguments. I couldn’t go anywhere without catching a few of its notes. It seemed to be the soundtrack to life in 1973. Rarely, however, was I able to listen to the song in its entirety. Eight plus minutes meant it rarely played in the AM top 40 rotation. “Try those FM hippie stations,” Eddy had suggested. I flipped the switch and scanned the FM dial. Sure enough two thirds through the high band there it was. “…Bye, Bye, Miss American Pie…” we sang reflexively. It was halfway through as always but at least now I knew where it lived. I’d spent only two days on the upper band, but I could tell I wasn’t in Kansas anymore. “F M ——no static at all,” Steely Dan would later sing. This had to be Oz. At first listen everything sounded bright and clear. Yet venture inside and the world seemed fiery and dark. I knew I’d felt my face, already ghostly, turn a whiter shade of pale. Then suddenly I flushed. No it was more than that. I had goosebumps. I couldn’t believe what I was hearing! Time to pay the bills, but hang around cool cats. Coming up in the next hour, Jethro Tull’s Aqualung, Roundabout from Yes, some Baba O’Riley, Eagles and a little of Don McLean’s Pie for dessert. Stay tuned! Yes, finally! Hey? No. Could I? No. But? No, it’s ill… Well, maybe it’s not? I’d never actually double checked. Nobody else had mentioned it. Phil’s not in charge. Hum, better do it quietly just-in-case. My radio took six D batteries so it normally sat unloaded and plugged in on the shelf. This, however, was way too risky to do inside. I clicked the bedroom door shut and silently flipped the radio over. I gently pressed each battery into place as if loading a rifle clip. I slung the radio over my shoulder, tiptoed down the stairs, and slipped silently out the back door. The backyard had an area behind the garage where we kept a camping trailer. There I’d get clear reception, but no one would be able to see or hear me. I set the radio on the trailer’s step, gently raised the antenna and twisted the switch. “…don’t need to fight, to prove I’m right. I don’t need to be forgiven.” I listened impatiently waiting for my moment. The recorder has a safety just like a rifle. 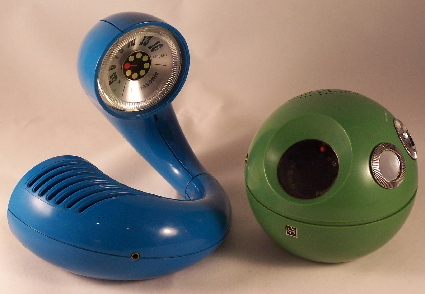 To make a recording you had to press down both the record and play levers at the same time. They said it was to prevent me from recording over my treasures accidentally. But at that moment I saw a different truth. It was so they’d know I was doing this deliberately. If I was going to break a law, I was going to get every second. I felt certain of these things years later when I saw them hoist their banner. This story is riveting. Just read through from the beginning and I can’t wait for more. It’s hard to tell whether I wish I’d lived through it or whether I’m just incredibly glad that people like you are around to tell me about it. And aside from a slightly unhealthy attraction to the ‘d’ key, your writing is great! Posted by Personman on June 26th, 2011. Thank you very much Personman! I guess I’m even vainer than I thought because comments like yours really pump me up! 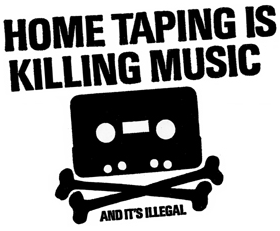 Home taping did not kill music, and MP3s aren’t going to kill music. What kills music is low quality music. Less Lady Gaga and Miley Cyrus, more Varathron and Immolation! Posted by Abortifacient on June 27th, 2011. Just got done reading the entire story. When I got to the end I scrolled down to the bottom of the text and discovered the absence of the next page. I have really enjoyed the article so far, and hope that you write more. I also hate you, because it is 1 am now. I saw the time adding up, but I had to read one more page…one more page…one more page…and it was all worth it, even with the meager amount of sleep I will get. And I wasted even more time writing this comment! I have bookmarked this for future reading, please write more. Posted by Uhill on July 5th, 2011. Posted by Bob Way on July 6th, 2011. Posted by Abortifacient on July 8th, 2011.